Available either printed or as a high quality printable download. 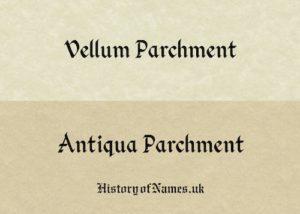 For downloadable products normally on a parchment background, you can choose a plain white (or no) background if you would rather print on your own parchment or other paper. Our downloads and printing help page can be found here. 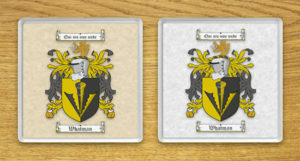 These ancient coat of arms (sometimes called a family crests) are printed with an aged parchment background as shown in the product image. These are printed on matt photo paper for the best quality. 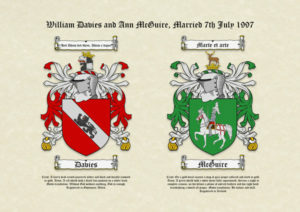 You can also choose a plain parchment background as shown below, if preferred. We can also supply these on a vellum (light parchment) or antiqua (darker parchment) paper (not photo paper) if required. Please see the images for the differences. The prices are the same. Top quality printing on A4 (297 x 210 mm or 11.75 x 8.25 inches – recommended size) or 10 x 8 inches (250 x 200mm) matt photo paper. 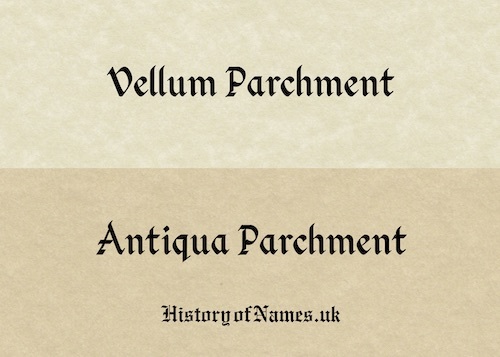 Or we can print into vellum or antiqua parchment paper. 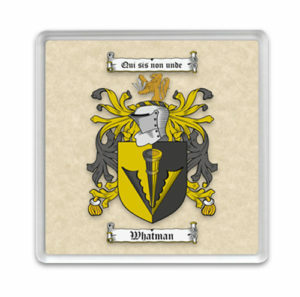 Fully authentic coat of arms. 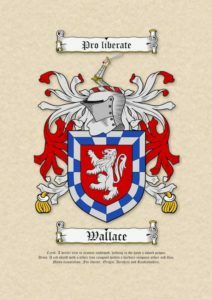 These are historically accurate as recorded in ancient documents such as Burke’s General Armory, Fairbairn’s Book of Crests, Riestap’s Armorial Général and amongst others. 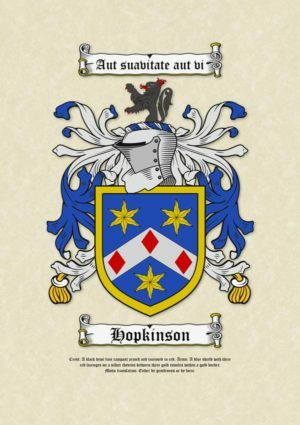 Available for almost any British or Irish surname, and many European and international surnames. 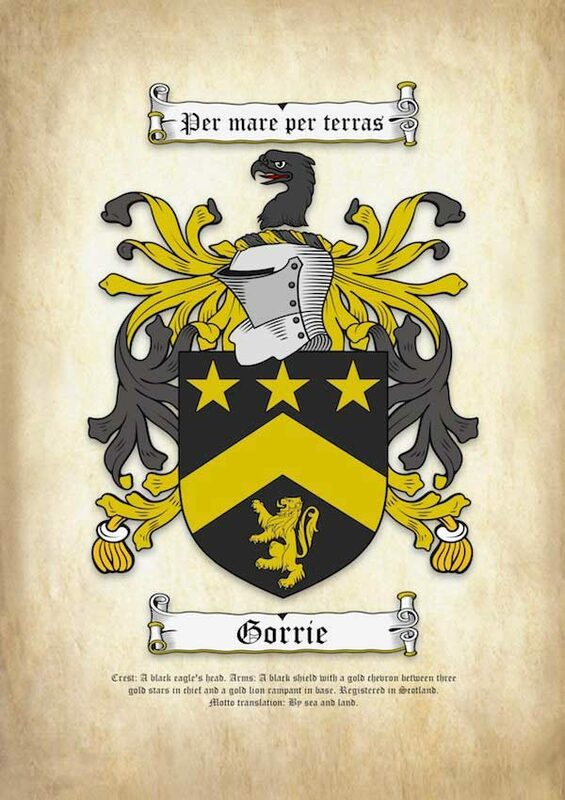 You can search for coats of arms surnames here or feel free to contact us with the surname(s) required. 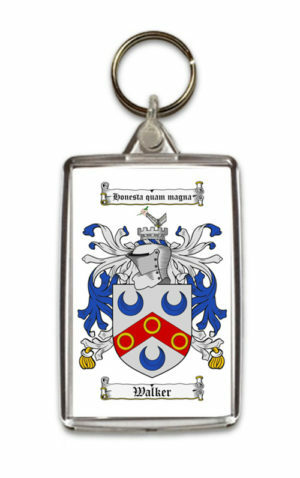 You can specify a preferred country of origin for the coat of arms when ordering. 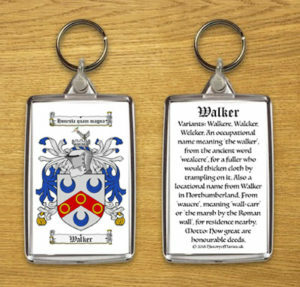 You can also specify any preferred coat of arms when placing an order since many can be registered bearing the same surname. 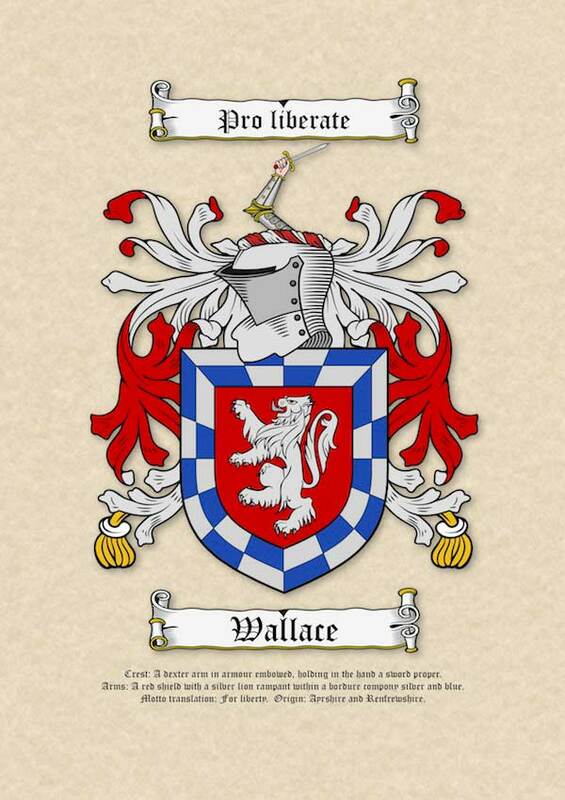 We normally use the oldest coat of arms most associated with the surname if none is specified when ordering. Supplied ready for framing in the standard A4 size (frames are available off-the-shelf from many high street and online shops). Order processing: normally 1-2 days, often within 24 hours. Postal cost: £1.00 for 1st class UK post; £3.50 for International Airmail. Please allow up to 10 days for deliveries outside of the UK. This is the 1-3 days processing plus the 4-7 day international delivery.